One big decision you have to make when you set up an aquarium is deciding on the substrate. There's gravel, sand, marbles, pebbles, and other substrates, but this article will focus on sand. We'll talk about the benefits of sand and the different kinds of sand that you can choose from. Then, we will show you our top picks of the best aquarium sand in the market. Unlike gravel, the grains of sand have small spaces between them. These spaces are so small that it is less likely to let debris in. Instead of being buried in the spaces, the waste or debris will just circulate in the water or be picked up by the filter. If not, it’s easy to clean during water changes. With gravel, waste and debris can accumulate in the spaces, so you have to wash it to keep the water quality great thoroughly. Another advantage of sand is that it is more natural to most fish. Some even need it for spawning. It allows the fish to sift through for food and to dig holes quickly. Sand is also much more gentle and soft than other substrates. Lastly, sand is cheaper than the others kinds of substrates. Yes, you got that right—play sand works perfectly for aquariums, too. Just make sure it is non-toxic. You should also look out for the clay content in the sand; make sure it is low in clay. Otherwise, you'll have more trouble than usual when cleaning your aquarium. A better option than play sand is pool sand. It has more uniform sand particles, and it has less contamination compared to play sand. However, pool sand has a dazzling white color, which might not be very appealing. Silica sand is granules of broken down quartz, thanks to the powers of water and wind. It has a light tan color, with fine grains that are relatively uniform in size. One advantage of silica sand over the others is that it cleans easily. Coral sand is composed of particles of corals, algae, and calcareous bits. The bits and pieces of this type of sand are not uniform, but still a great option for stabilizing your aquarium water. It’s somewhat more expensive than the sand types above. 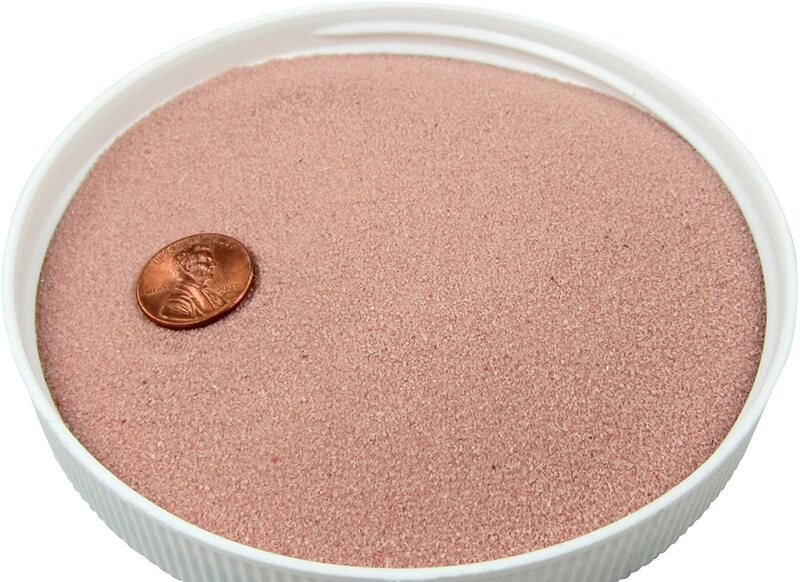 Marine Sand Marine sand is purposely made for aquariums, and it's probably the best way to go. They are non-toxic, and the grains are consistent in size. Marine sand also doesn't affect the pH level of the aquarium water. The Carib Sea Tahitian Moon Sand is one of the best sand options for aquariums. It's part of the Super Natural series, which includes 15 different options, including the Tahitian Moon Sand. This series of aquarium substrate do not affect the pH levels or the hardness of the water. The Tahitian Moon Sand is a shade of black, with grains that are between 0.5mm to 1.mm in size. It does not contain any dyes or unnatural coloring. 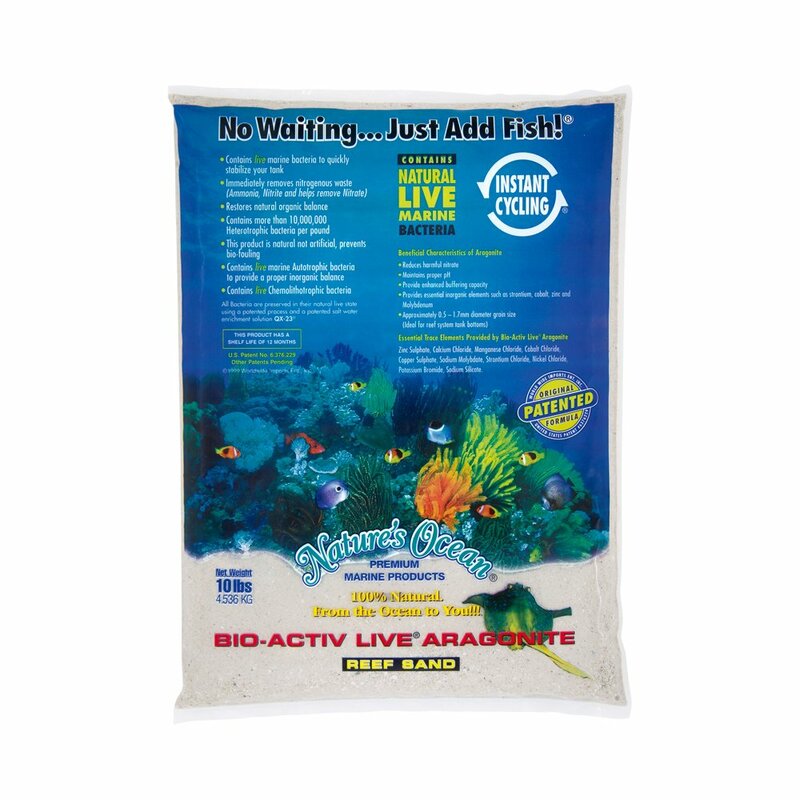 This substrate is also fairly soft for its size and safe for most kinds of fish. The black color offers a beautiful contrast to the aquarium. I love that it also sparkles. It doesn’t affect the pH level of the water. You can use it for saltwater or freshwater tanks. It’s beautiful and soft enough for fish to dig for food or holes. Cleaning the sand can be quite frustrating because it tends to get stuck in the vacuum. A tad bit more expensive than other sand types. This aragonite sand is one of the best options for saltwater aquariums. One significant advantage this sand has is that it contains live marine bacteria. It will stabilize your aquarium very quickly, and it will also remove nitrogenous waste. Another excellent quality this sand offers is that it maintains the pH levels. It's all-natural, with no artificial coloring, or chemicals that can be harmful to your fish. This sand is very fine and soft, with an average grain size of 0.1-0.5mm. It contains live marine bacteria that promotes clean and stable water. You can use it straight from the bag. Soft and beautiful grains are safe for the fish to dig. It’s all natural - no coloring or chemicals. If you want something that can lower or increase pH levels, this is not the sand you want. It might be difficult to vacuum, but still, it stays clean very well. It’s not for freshwater tanks. 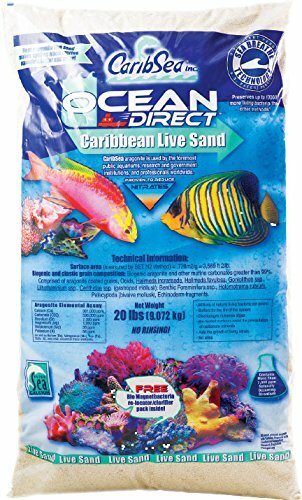 Another Carib Sea substrate to consider is the Ocean Direct. What makes it different is the "Sea Breathe" technology which conserves the live bacteria in the sand. This beneficial bacteria helps filter the water and provides a close-to-natural environment for saltwater fish. There are two varieties of the Ocean Direct—original grade and oolite. This one is the original grade, and it has a typical size of 0.25-6.5mm. It features Sea Breath Technology which keeps the live bacteria in its original state. It helps get rid of unwanted bacteria and toxins in the water. Provides saltwater fish a very natural environment. ​The sand has a clean appearance. ​The different size of grains gives it a natural feel. If you need fine grains, go for the oolite. Not suitable for freshwater fish. Causes the water to be cloudy at first but it goes away quick. This next sand option is unlike the others because it is initially used sandboxes and other play purposes. However, it is non-toxic, making it suitable for fish. You can also use it for landscaping, sand painting, home decor, and whatever other purposes you have in mind. They come in a wide range of colors so you can even personalize. It’s non-toxic and suitable for aquariums. You can choose from a wide range of color. If you want a non-traditional color on your aquarium, you can use this. It’s inexpensive compared to the other options. If you are looking for a more natural look, this one is not for you. It’s difficult to clean or change. 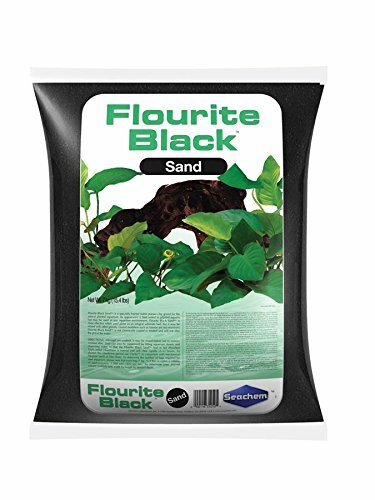 Seachem Flourite Black Sand is made of porous clay gravel and is ideal for planted aquariums. It's also suitable for any aquarium environment. This sand is non-toxic and does not any chemical coating. You can use it with other substrates, but it’s most effective alone. Ideal for any aquarium environment especially planted tanks. ​This stuff will not alter the pH of the water. 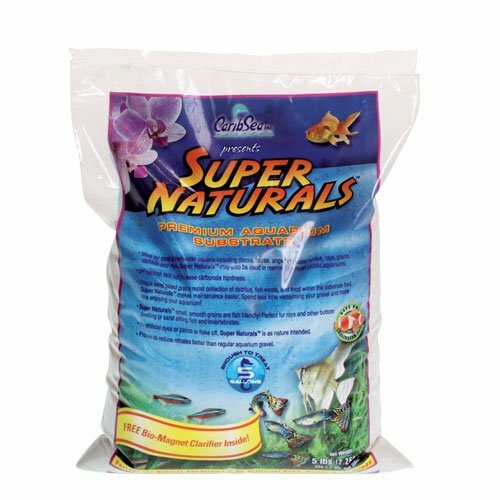 Contains essential minerals that support the growth of aquatic plants. Initially clouds the water, even after pre-washing. Finding the best aquarium sand is not as easy as you might have thought, but it’s also not difficult. It’s important to know the basics to avoid bad and wrong purchases. The best aquarium sand is non-toxic and as close to natural as possible. With that in mind, I’d have to say that the best aquarium sand in the market is the Carib Sea Super Natural Tahitian Moon Sand. I love the way it looks, and my fish seem content with it. I also like that it is versatile and can be used in fresh or saltwater. Though it is not as easy to vacuum as the others, it’s still relatively easy to clean.